Rhinoplasty, commonly referred to as a nose job, is a surgical procedure that can reduce or increase the size of your nose, change the shape of the tip or the bridge, narrow the span of the nostrils, or change the angle between your nose and your upper lip. 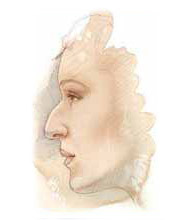 Rhinoplasty (Nose Job)﻿may also correct a birth defect or injury, or help relieve some breathing problems. 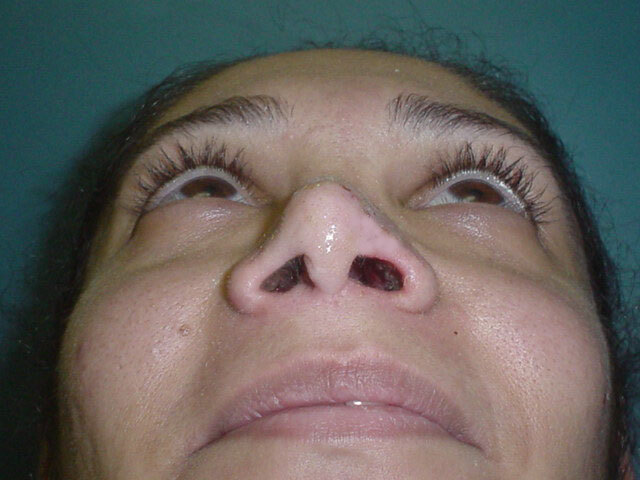 Sometimes certain breathing problems related to the internal nasal structures can be corrected at the same time as nose reshaping is performed. Rhinoplasty (Nose Job) ﻿is one of the most difficult plastic surgery procedures to perform. The difference between a good result and a poor result is a millimeter. 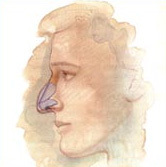 Rhinoplasty surgery (Nose Job)﻿ is as much about art as it is surgery. 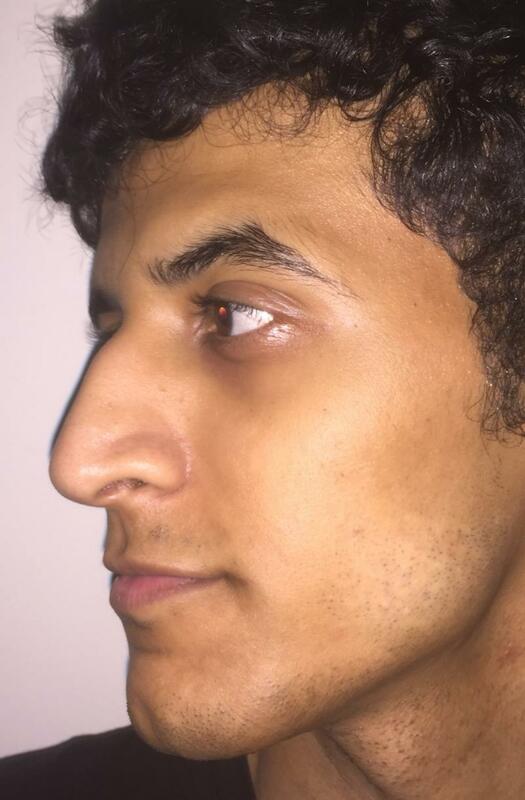 Am I a good candidate for Rhinoplasty (Nose Job)﻿? individuals who are looking for improvement in the way they look. Age may also be a consideration, it is preferable not to perform rhinoplasties (Nose Jobs) ﻿on teenagers until after they have completed their growth spurt, around 14 for girls, and 15 for boys. Deciding to have rhinoplasty, or any elective surgery, should not be an impulsive decision but rather one that is carefully thought out. During your rhinoplasty consultation, you will be asked how you would like your nose improved. Dr. Wilson will examine the inside and outside structure of your nose, and discuss the possibilities with you. He will also explain the factors that can influence the procedure and the results. These factors include the structure of your nasal bones and cartilage, the shape of your face, the thickness of your skin, your age, and your expectations. Be sure to say if you have had any previous nose surgery or suffered an injury to your nose, no matter how long ago it was. You should also advise of any allergies or breathing difficulties, of any medications or vitamins you take, of recreational drug use, or if you smoke. 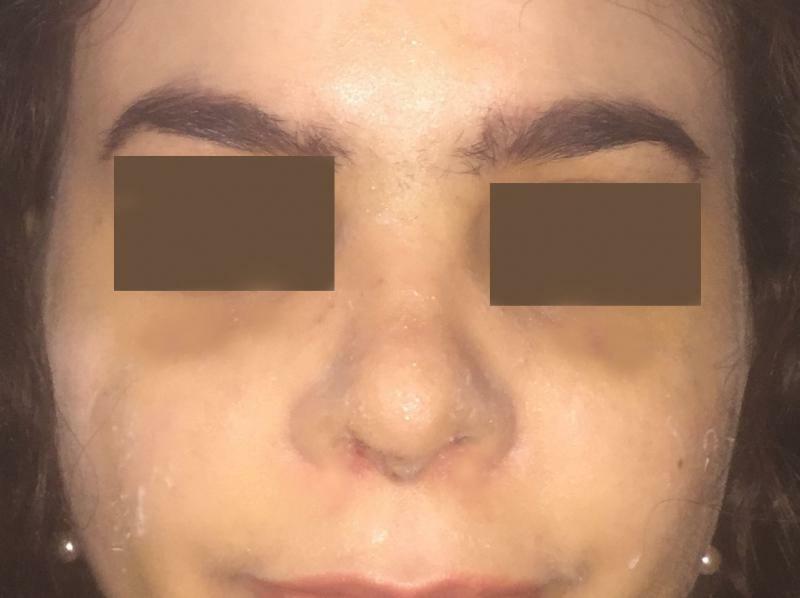 How is Rhinoplasty (Nose Job) ﻿Performed? 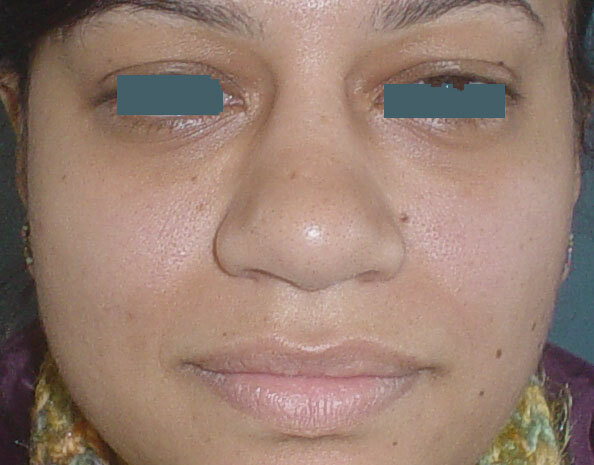 There are two types of rhinoplasty (Nose Job)﻿ surgery, closed rhinoplasty and open rhinoplasty. 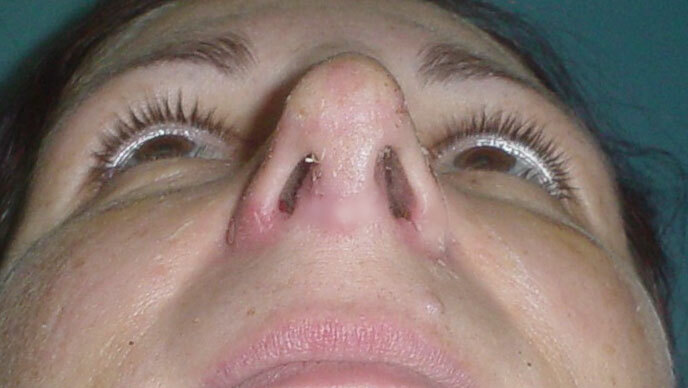 The closed approach is performed from within the nose with the incision inside the nostrils. 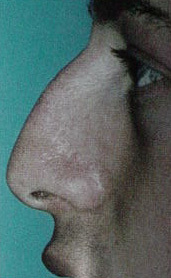 The open approach is performed by separating the skin of the nose from its supporting framework of bone and cartilage. The nose is then sculpted to the desired shape. There are an infinite number of techniques which can be utilized to sculpt the underlying framework. Sometimes, the position of certain bones may need to be altered slightly in order to make your nose look narrower and straighter. If your nose needs to be built up in some areas, this can be done using nasal cartilage, or perhaps bone or cartilage from another site. The skin and soft tissues then redrape themselves over this new "scaffolding." 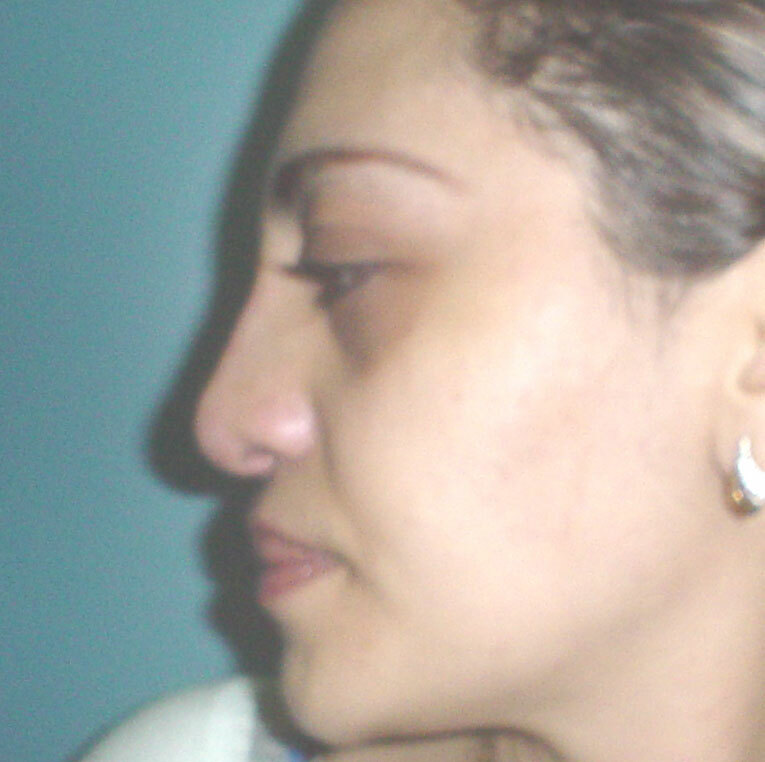 Rhinoplasty: Wide Boxy Tip and ala Nasi and Nasal Deviation Correction. 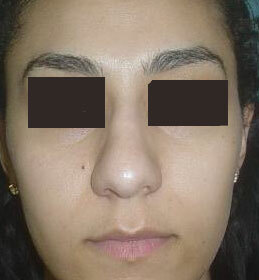 This 35 year old female desired rhinoplasty to correct a high boxy nosal tip, nasal deviation, and very wide ala nasi. 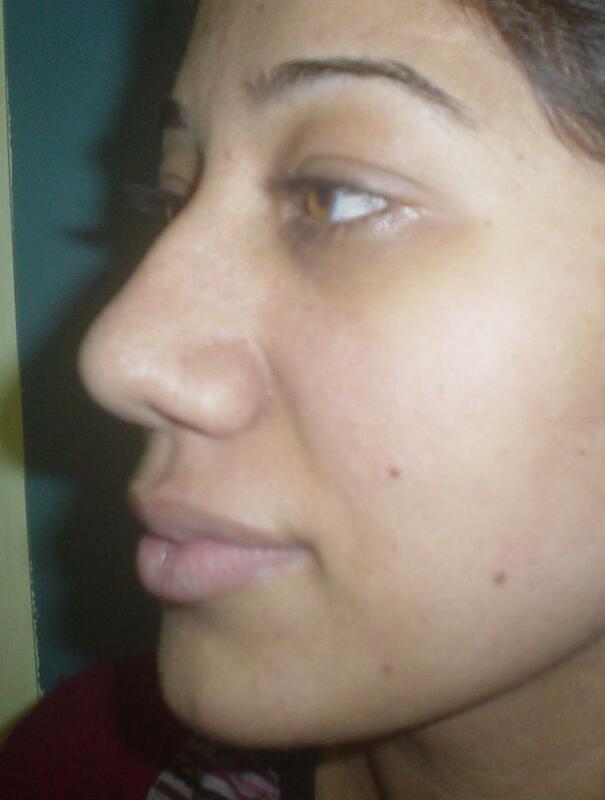 A full correction rhinoplasty was performed and she ended up with a more natural look. And on side view, note the gentler aesthetically pleasing outcome. 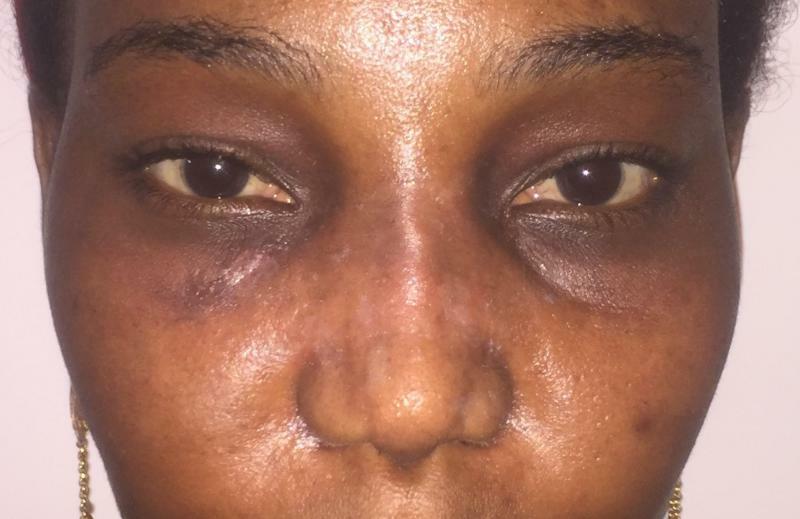 Rhinoplasty: Dorsal Hump, Tip, and Nasal Deviation CorrectionThis 23 year old female desired rhinoplasty to correct a big nose, nasal deviation, boxy tip, wide bones and to help proportion her nose better to her face. A full correction rhinoplasty was performed. 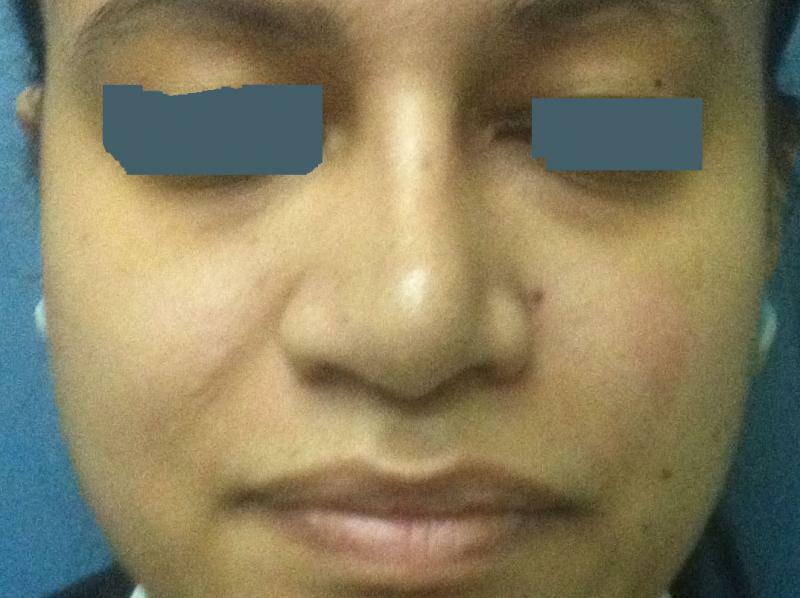 Rhinoplasty: Wide ala Nasi and Nasal Deviation CorrectionThis 22 year old female desired rhinoplasty to correct a big nose, nasal deviation, and very wide ala nasi. A full correction rhinoplasty was performed. 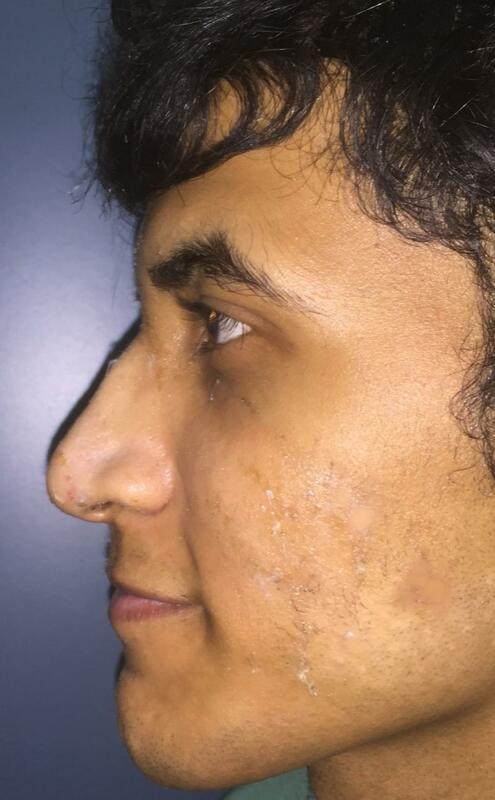 Rhinoplasty: Dorsal Hump and Nasal TipThis 18 year old male desired nasal reshaping surgery to take down the hump of his dorsum and raise the tip, both successfully achieved. 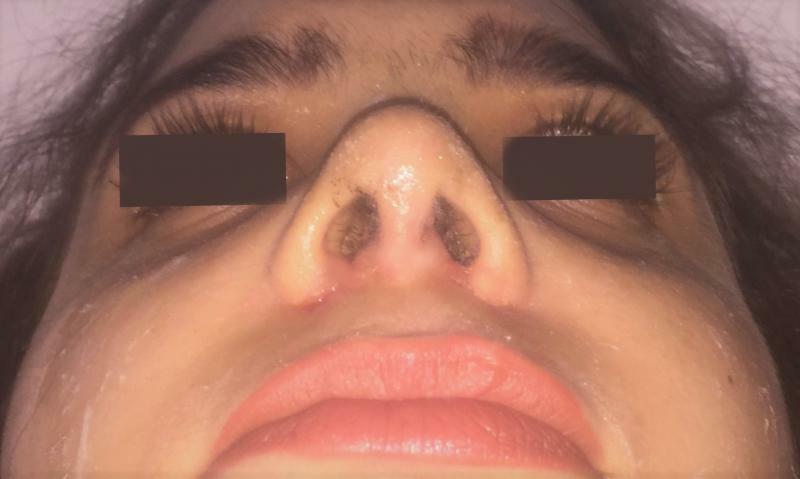 Secondary Rhinoplasty: Saddle nose and Nasal Tip Definition: This 29 year old female desired nasal reshaping surgery to correct the depressed dorsum and define the tip, following previous trauma. A cartilage graft was taken from her chest, and used to recreate the depressed dorsum of the nose and define the tip. 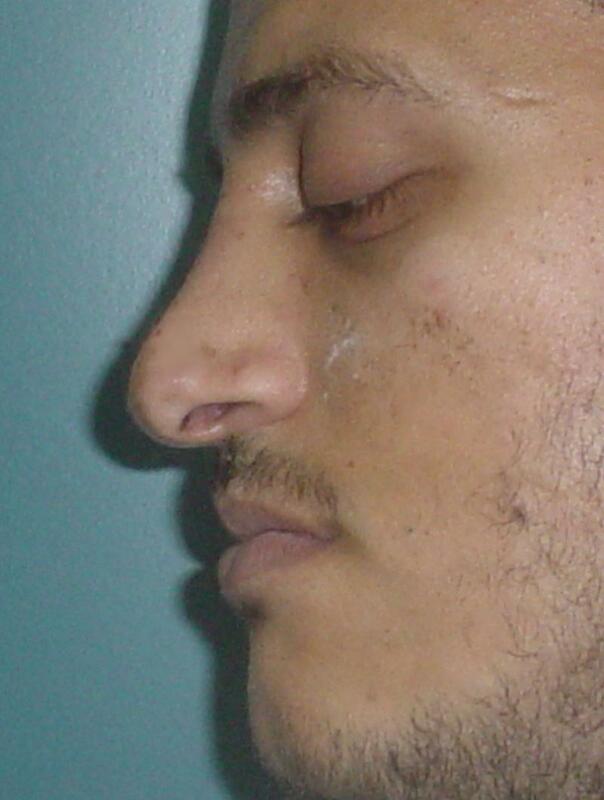 Rhinoplasty: Saddle nose and Nasal Tip Definition: This 19 year old male desired nasal reshaping surgery to correct the depressed dorsum and define the tip. A cartilage graft was taken from his chest, and used to recreate the depressed dorsum of the nose and define the tip. 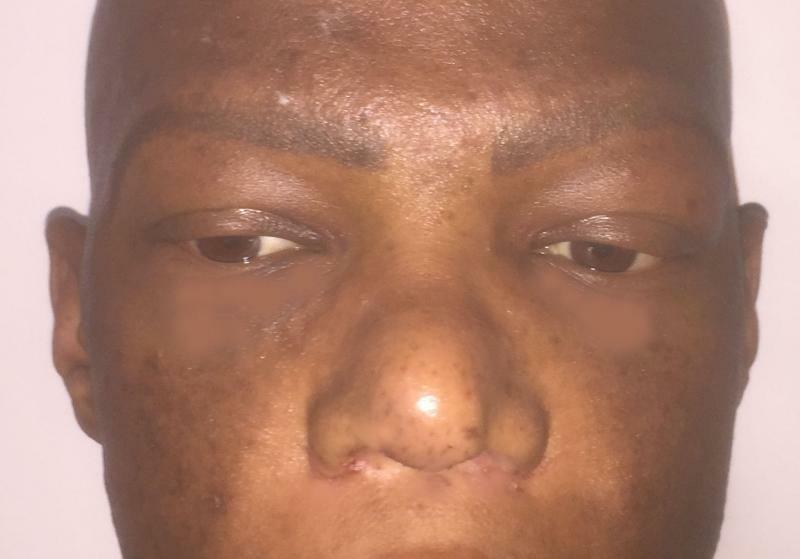 Rhinoplasty: Nasal Deviation CorrectionThis 22 year old male desired rhinoplasty to correct a big nose, and nasal septum deviation. A full correction rhinoplasty was performed. 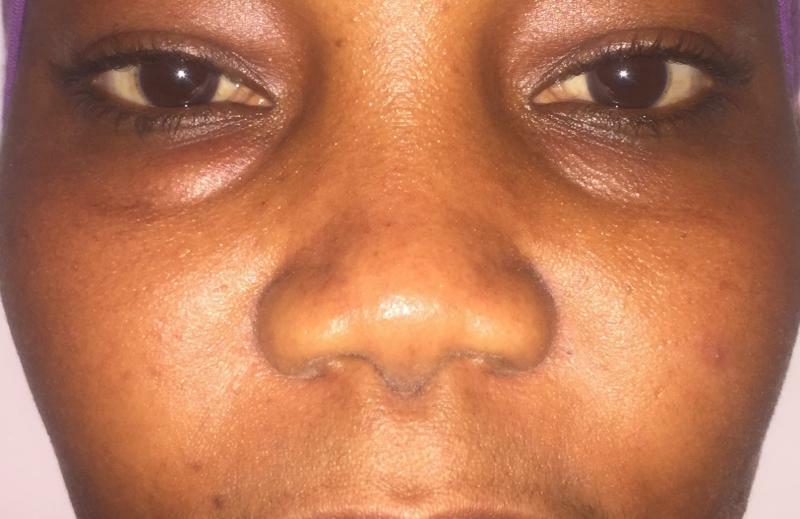 Rhinoplasty: Nasal Deviation and Tip Deformity Correction: This 32 year old female desired rhinoplasty to correct a twisted deformed tip with unequal ala nasi and asymmetric nasal openings. 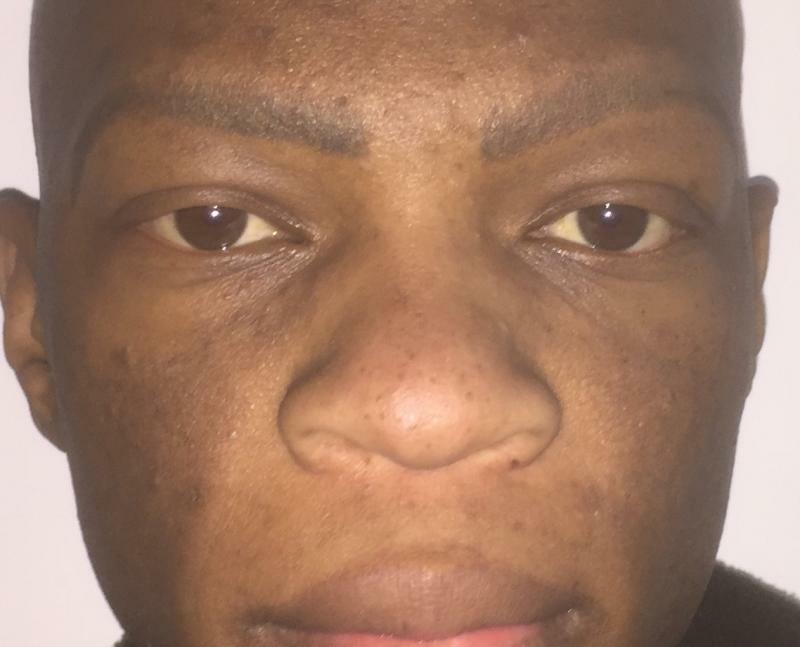 A full correction rhinoplasty was performed. 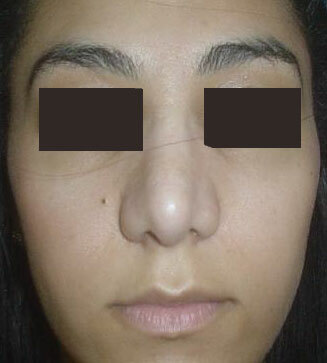 Rhinoplasty: Nasal Tip Reduction : This 38 year old female desired rhinoplasty to reduce a high tip which was also broad and slightly twisted. A full correction rhinoplasty was performed. 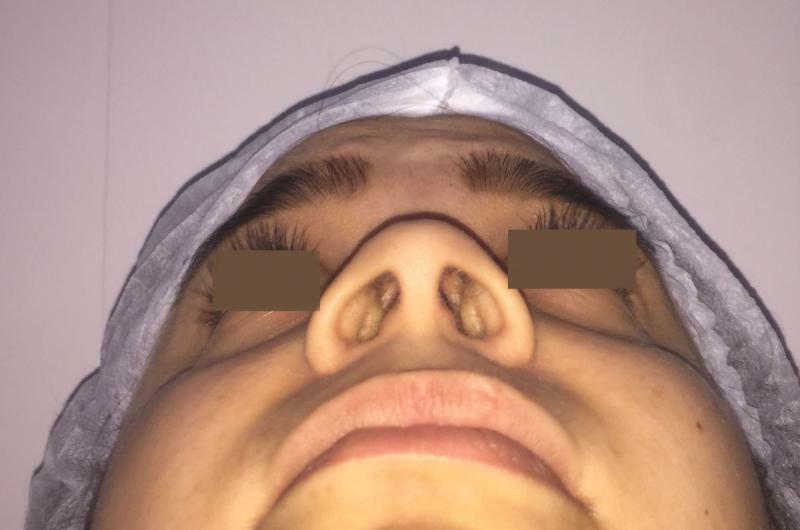 Rhinoplasty: Dorsal Hump, Tip, Wide Ala Nasi and Nasal Deviation Correction: This 18 year old female desired rhinoplasty to correct a big nose, nasal deviation, boxy tip, wide ala nasi, wide bones and to help proportion her nose better to her face. 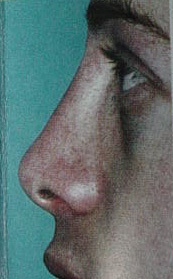 A full correction rhinoplasty was performed.﻿ Note the triangular tip instead of the original square one. 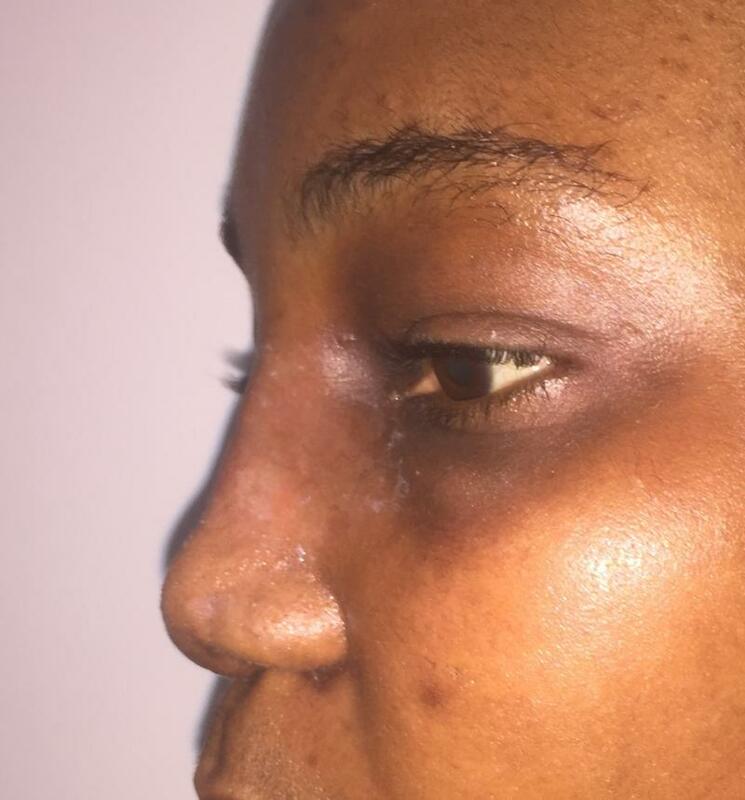 Rhinoplasty: Dorsal Hump, and Tip Correction: This 22 year old female desired rhinoplasty to correct a big nose, prominent hump, nasal deviation, boxy tipand to help proportion her nose better to her face. A full correction rhinoplasty was performed.﻿ Note the perfect dorsum and harmony in the face with the new nose. 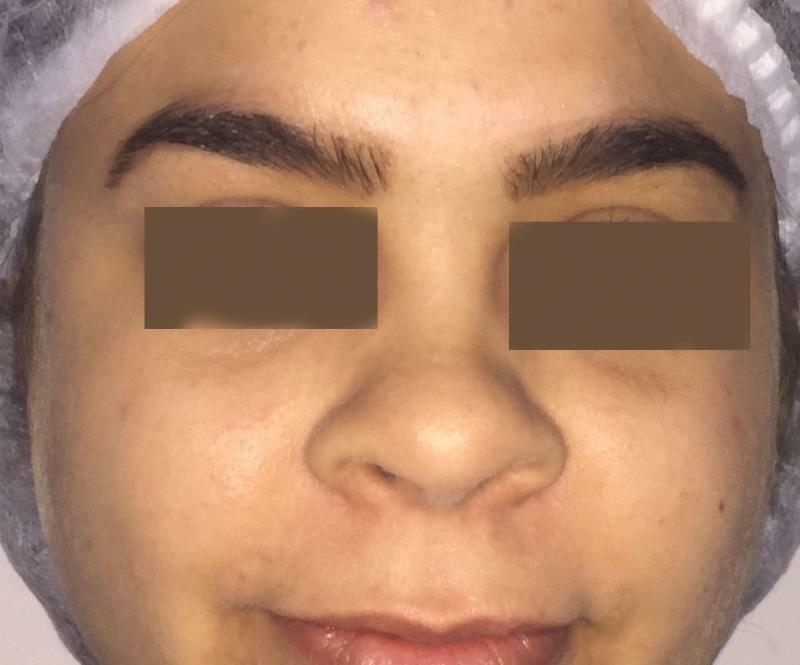 Rhinoplasty: Dorsal Hump and Nasal Deviation Correction: This 21 year old female had a big nose, boxy tip, and size and contour totally disproportionate to her face. 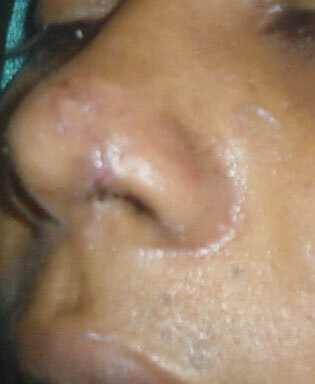 A full reduction rhinoplasty was performed. 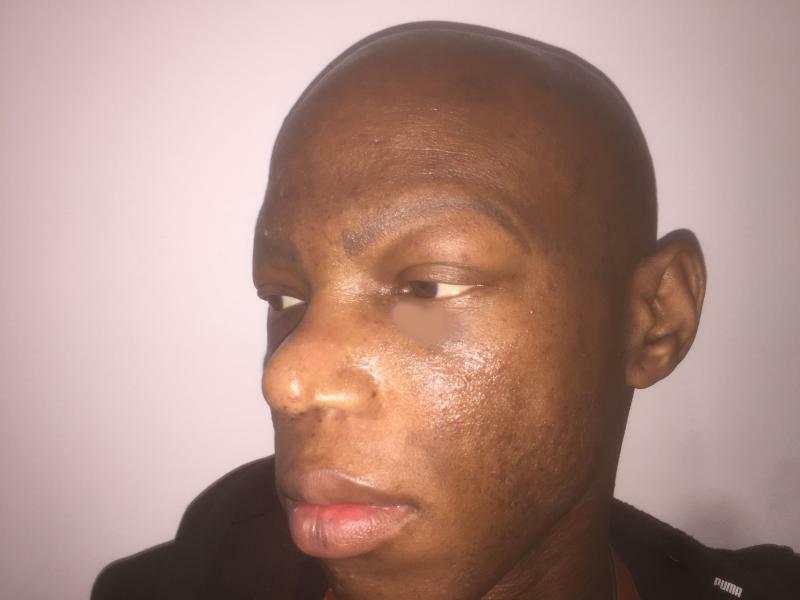 Rhinoplasty: Dorsal Hump and Nasal TipThis 24 year old male desired nasal reshaping surgery to take down the hump of his dorsum and raise the tip, giving the nose a more aesthetically pleasing appearance. 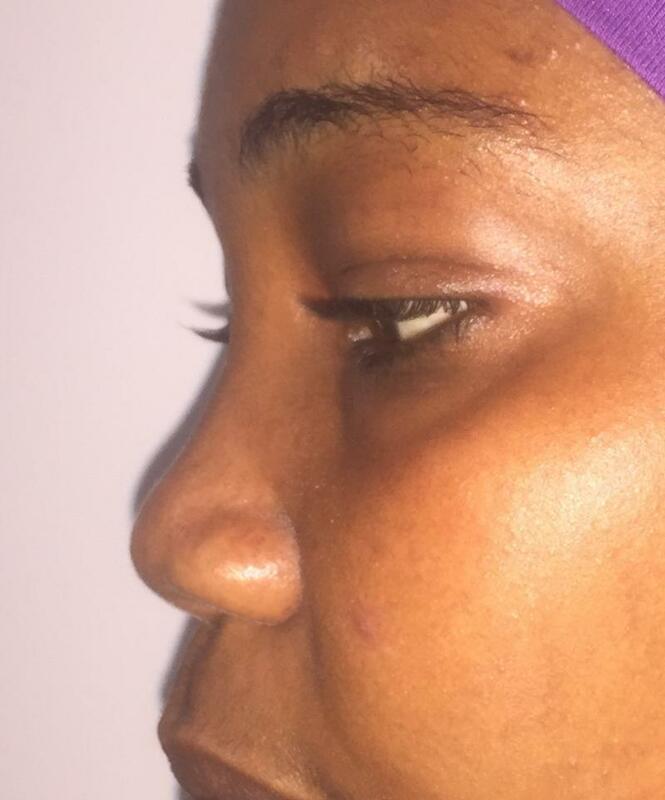 Rhinoplasty: Flat nose, Broad tip, Depressed Dorsum: This 46 year old woman had a classic African nose with depressed dorsum, broad tip and flat shape. 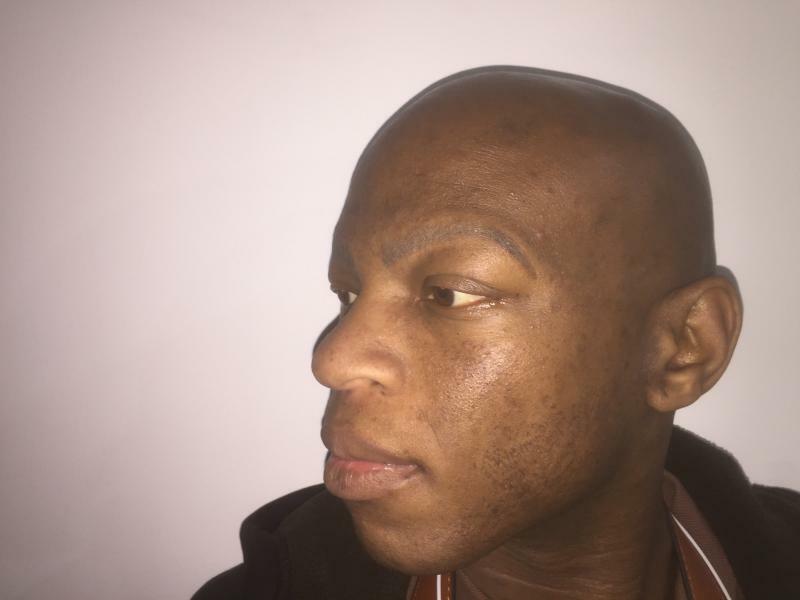 She desired correction of her African contour and a more Caucasian shape, which were performed in the surgery. Frontal View:﻿﻿Note narrow raised well-defined tip. And Bottom View: Note narrower nose and raised well-defined tip. 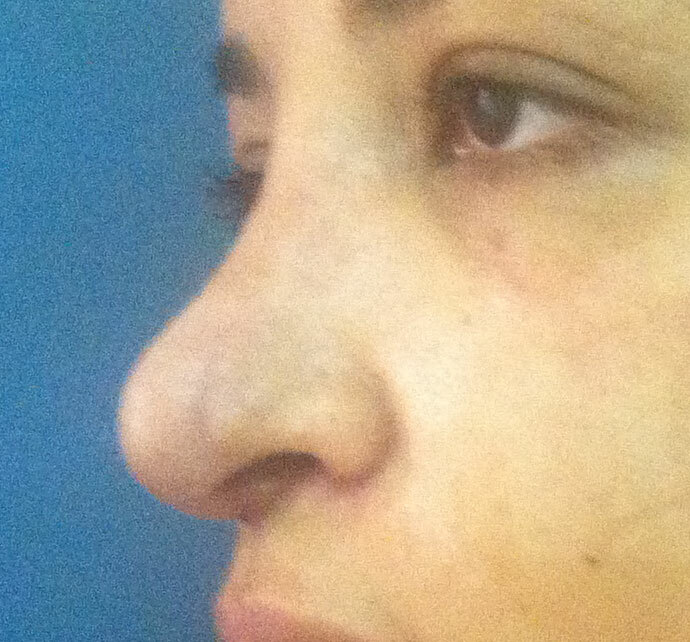 Rhinoplasty: Dorsal Contour and Nasal Tip: This 36 year old woman had history of nasal deformity and deviation. 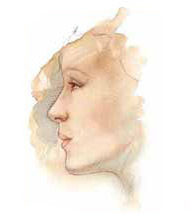 She desired correction of her deviated nose and dorsal reduction, as well as elevation of the tip. All were performed in the surgery. 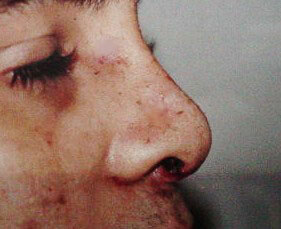 Rhinoplasty: Dorsal Contour and Nasal Tip: This 26 year old man had history of nasal deformity and deviation. He desired dorsal reduction, as well as elevation of the tip. All were performed in the surgery. Rhinoplasty: Dorsal Hump and Nasal Tip Definition: This 24 year old male desired nasal reshaping surgery to smooth down the hump of her dorsum and raise the tip, to get a gentle cocave nasal appearance. Both aims were successfully achieved. 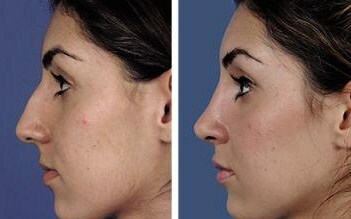 Rhinoplasty: Nasal Tip Definition: This 35year old female desired nasal reshaping surgery to raise the tip and define it. Aim was achieved by cartilage grafts. Rhinoplasty: Dorsal Hump, Tip, Wide Ala Nasi and Nasal Deviation Correction: This 27 year old female desired rhinoplasty to correct a big nose, nasal deviation, boxy tip, wide ala nasi, wide bones and to help proportion her nose better to her face. 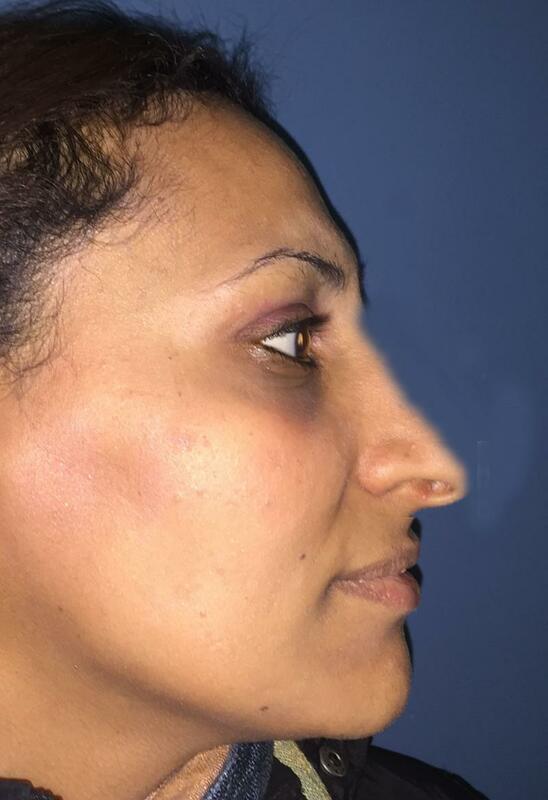 A full correction rhinoplasty was performed.﻿ Note the gentle curve of the dorsum and overall smaller proportions of the nose.